The Jeep Renegade is a small compact SUV from the American SUV maker and will make it to India late 2017. The new small SUV will feature both petrol and diesel engines and should be priced around the Rs 18-25 lakh range when launched. The new Jeep Renegade should be a popular car in India because of its heritage and design. Talking about design, the Jeep Renegade harks back to the original Willy’s Jeep with its slatted grille and recessed headlamps. The front bumper receives a tough skid plate on the bottom and separate fog lamps. At the rear, the old school design continues with the square tail lamps that look like the fuel jerry cans that used to go on to the older World War 2 jeeps. The Renegade also gets a set of tough looking 17-inch wheels and large tyres that help its stance along with a set of squared-off wheel arches. In terms of interior design, Jeep has given customers the option of customizing the Renegade in various different combinations. That said, the standard car will get a black interior package with a touchscreen infotainment system. The Renegade gets Apple CarPlay and navigation as standard along with optional satellite radio services. The Renegade will be available with a 5-seater option only and will get a spacious boot that can easily swallow up a weekends worth of luggage. The new Renegade will also have a plastic roof panel that will be removable completely in order to give the car a more open top feeling. In temrs of engines, the Renegade will make it to India with a 1.4-litre turbocharged motor and a 1.6-litre or 2.0-litre multijet engine. The 1.6-litre engine is the same engine that is available in the Maruti Suzuki S-Cross. 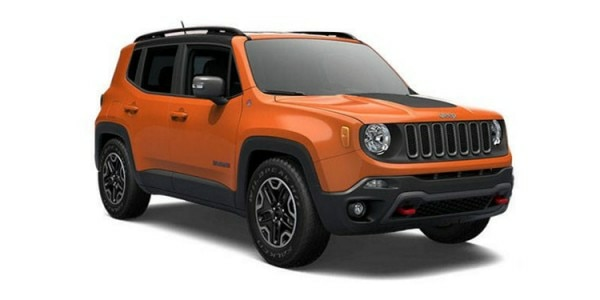 The new Renegade will come with both a manual and an automatic option. The manual gearbox will be a 6-speed unit while the automatic gearbox will be a 9-speed unit. Both will come with front wheel drive and all-wheel-drive options. When launched in India, the Jeep Renegade will go up against cars like the Hyundai Creta (on the lower end of the price grade) and the Hyundai Tucson. The Jeep Renegade will also go up against the likes of SsangYong Tivoli, the upcoming Audi Q2 and the Volkswagen Tiguan. That said, if the Renegade is priced higher than what we expect, it will go up against the likes of the Audi Q3, Mercedes-Benz GLA and the BMW X1. Share your experiences with Renegade? Q. Which one is better, Ford EcoSport orJeep Renegade? It would be hard to give a verdict on Jeep Renegade as the car hasn't been launched yet and there are no updates from the Jeep. Stay tuned to ZigWheels for more updates on it. Q. I am looking forward to buy Jeep Renegade as it's expected in late 2019 or early 2020. Can you please help me with whether it's worth waiting and how it would b better then Hyundai Creta in terms of handling and driveability.